The Omnikey high performance readers CardMan are the result of long years of experience and offer you reliable performance in application areas such as PC security, Internet security, E-Commerce, home banking, credit card payments, access control, digital signature or PKI. Used with PCs, notebooks, servers and mobile devices Omnikey offers a diversified product portfolio to meet various requirements. Based on revolutionary chip technology, most readers support reader-to-card data transmission rates of up to 420 kBits per second, setting a performance standard in the market. 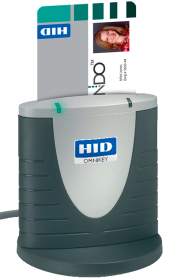 Omnikey readers, which work with virtually any contact smart card, are designed for maximum flexibility and interoperability and comply with all relevant industry standards. 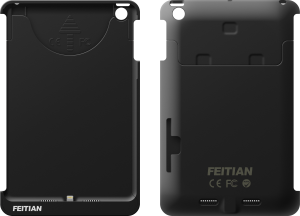 iPhone and iPad can access smart cards with the card reader iReader 301UL by Feitian. The reader supports smart cards based on ISO 7816 with the T0 or the T1 protocol. Custom solutions can be implemented with the available API and/or the software development kit (SDK). This allows to implement solutions for e.g. certificate based authentication, acceptance of payment cards or generation of one-time passwords on the iPad or on the iPhone. Four models, the iR301C32, iR301C29, iR301C42 and the iR301C48 are available. The card reader for smart cards allows using proven access control technologies (e.g. card-based PKI). 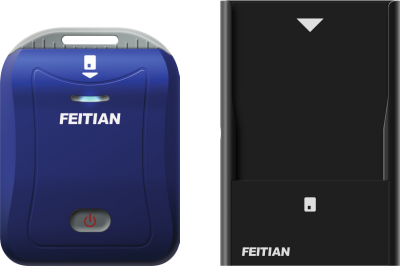 The Feitian Bluetooth smart card readers bR301 are the perfect add-ons to bring PKI security to any mobile device. These readers fit perfectly into mobile usage scenarios, where smart cards are required and convenience is a plus. With the Bluetooth interface, the bR301 can be used for iOS/Apple, Android or Windows mobile devices. The Micro-USB connector allows to use the reader connected to a PC and to charge the battery. 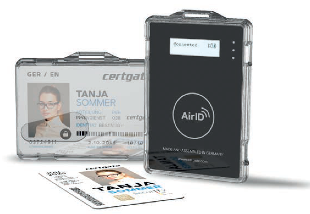 AirID2 is a combined smart card reader and ID badge holder. It uses AES-256 encryption to ensure secure data transfers and Bluetooth low energy technology for a wireless connection to your smartphone, tablet, laptop or PC. In companies where a public key infrastructure (PKI) is already in place, employees can continue to use their company ID cards. AirID2 is characterized by its discreet design in form of an ID badge holder. The “SmartFold” SCR3500 mini USB reader is a fully ISO 7816 compliant contact smart card reader which is perfectly suitable for a wide range of application areas for government, enterprise and home use. Providing full compliance with all major industry standards such as ISO/IEC 7816, USB CCID, PC/SC, and Microsoft WHQL, the SCR3500 seamlessly works with virtually all contact smart cards and PC operating systems. With its ultra-compact yet reliable Identiv design and mechanical functionality, it is the ideal travel companion for mobile users requiring the same level of data protection as is required for desktop applications. With SCR3500, the end user experiences convenience, transaction-time efficiency, security, and reliability for applications such as network log-in, Windows authentication and Single Sign-On.